An exhibition on coral stone mosques, one of the most defining symbols of Maldivian heritage and culture, has begun. 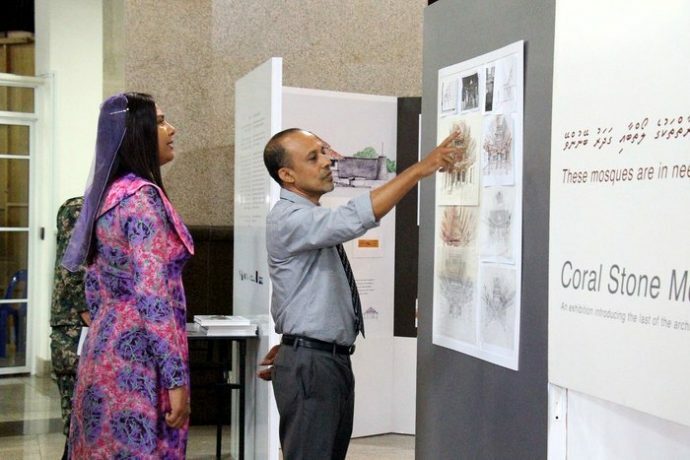 The exhibition, being held at the National Art Gallery in capital Male by the heritage department, showcases illustrations by renowned Maldivian architect Mauroof Jameel of the coral stone mosques in different parts of the Maldives. 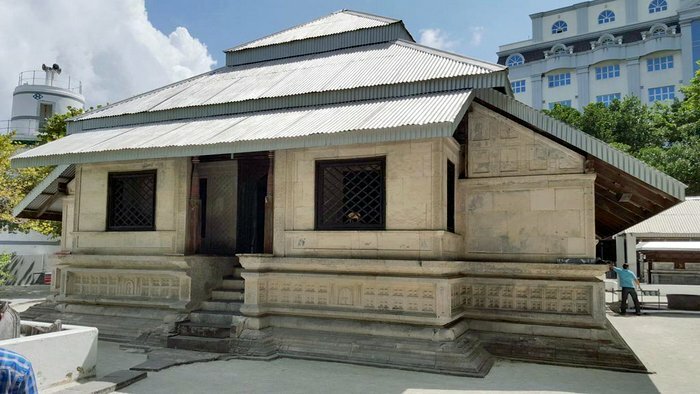 A book detailing the architecture of the coral stone mosques has also been released. The exhibition is open for public from 10am to 6pm from Sunday to Thursday, and from 10am to 2pm from May 28 to June 8. The Friday Mosque in Male. A former cabinet minister, Mauroof is an architect and a specialist on the architectural heritage of the Maldives. He has wide ranging experience in design and development as well as project and institution management. He holds MSc Architecture, University of Malaysia, Pg Dip Architecture, University of Sheffield, UD and Ba (Hons) Architecture, Manchester Metropolitan University, UK. Coral stone mosques embody the rich Maldivian heritage with some dating back to the 16th century. Limitations of building materials led to the use of the coral stone and timber as these were the only long lasting and easily available materials for building. Coral carpentry dates back to the Buddhist era in the Maldives and continued till the introduction of masonry in the late 18th century. Skilled workers would lift live reef boulders from the ocean bed, cut them into stones while still soft, air dry and then interlock them to build an edifice. Coral stone construction became more refined during the Islamic period when the cutting techniques of the Swahili region in East Africa influenced Maldivian artisans. The fusion of the Buddhist and Islamic cultures in the Maldives is reflected in the mosques. The Friday Mosque in capital Male is considered to be the most important Maldivian heritage site and is the world’s biggest coral stone structure. It is included by UNESCO in its Tentative World Heritage list along with several other coral stone mosques found across the archipelago, including those in Ihavandhoo island in Haa Alif atoll, Meedhoo island in Raa atoll, Fenfushi in Alif Dhaal atoll and Isdhoo in Laamu atoll. Coral stone mosques have become a major attraction for the tourists that visit the Maldives.